Hall of Fame trainer Steve Asmussen has done everything in horse racing. Just shy of 8,300 career wins and $300 million in career earnings – including two Breeders’ Cup Classic wins, two Preakness victories, and a Belmont Stakes success in 2016, there’s really only one thing left for Asmussen to capture: a coveted Kentucky Derby triumph. This year, Asmussen has a phalanx of Derby contenders lining up at his pair of annual winter retreats to Fair Grounds and Oaklawn Park. 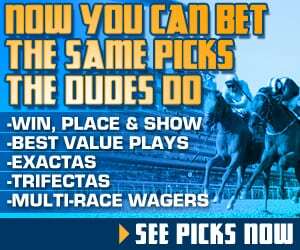 Kicking off with a major allowance race this Thursday and the next points race on the Ketucky Derby Trail in this Saturday’s Grade 3 LeComte Stakes, both at Fair Grounds, Asmussen will begin unloading his Kentucky Derby hopefuls this week. While fellow trainers Bob Baffert and Todd Pletcher receive most of the Kentucky Derby prep attention, Asmussen has been nearly as prolific in the central part of the country, including capturing both the Louisiana Derby and the Arkansas Derby in 2016 with Gun Runner and Creator, respectively. And don’t forget, Lookin At Lee snuck up for a runner-up finish in the 2017 Kentucky Derby. 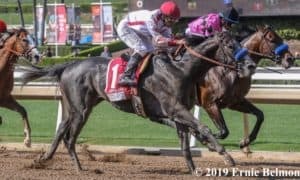 Last year around this time, Asmussen looked loaded on the Derby trail, but with some untimely injuries and tough luck, Asmussen only landed one runner in the 2018 Kentucky Derby gate: Combatant, who finished 18th. This year, though, if things break right, then Asmussen could have multiple starters. 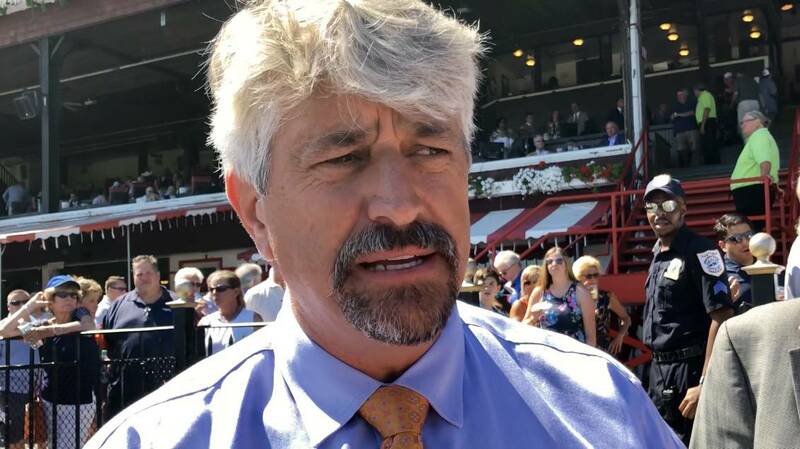 With 25 of his charges nominated to the Louisiana Derby (the most of any trainer), Asmussen appears to have a cavalry ready to charge, so let’s dig in and see which will run soon and who may pop up along the way. Leading the way to Louisville may be the very promising Gun It, who broke his maiden in impressive fashion at Fair Grounds on December 22 at second asking, drawing away by 4 1/4 lengths while going 1 1/16 miles. Sold for $2.6 million as a yearling, the hype has always been there for this son of Tapit, whose second dam Quiet Dance birthed the 2005 Horse of the Year Saint Liam and is the second dam of the 2017 Horse of the Year Gun Runner. Gun It has been entered in a salty allowance/optional claimer on Thursday at Fair Grounds going 1 mile and 70 yards and will face tough competition from Cornacchia and Owendale, both from the Brad Cox barn. Whoever comes out of this one victorious will be a top prospect for the Grade 2 Risen Star Stakes in mid-February. Before we get there, though, the LeComte kicks off the Fair Grounds’ official path to the first Saturday of May. Asmussen has two entered in the 1 mile, 70 yards event: Tight Ten and Wicked Indeed. 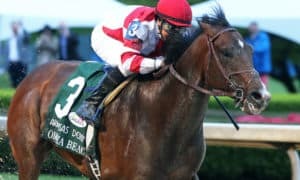 Tight Ten is Asmussen’s most established prospect, with runner-up finishes in the Grade 2 Saratoga Special Stakes and the Grade 3 Iroquois Stakes last year as a juvenile. Another son of Tapit, his ninth-place finish in the Breeders’ Cup Juvenile can be dismissed because he hit the rail hard going into the first turn while jockeying for forward placement. Tight Ten’s front-end speed will be dangerous in the LeComte, but he will need to find forward placement after breaking from the 11 post in this full field of 14. He’s worked steadily over the local surface since early December. Wicked Indeed set up shop at Fair Grounds near the end of October and broke his maiden over the track at the end of November, going 6 furlongs while beating next-out winner Chase the Ghost, who’s also entered in the LeComte. He next ran third against allowance company in December behind Tackett (another LeComte entry) and the aforementioned Owendale. Wicked Indeed will have his work cut out for him when he breaks from the rail in his third lifetime start. One more note for Saturday’s stakes action: both Tight Ten and Wicked Indeed are bred and owned by Winchell Thoroughbreds. For a full list of LeComte entries, check out the Derby Trail Tracker. 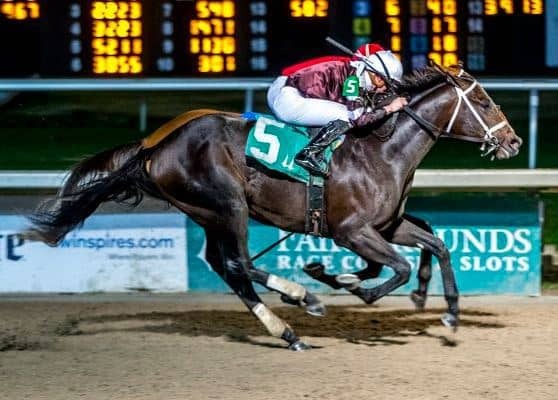 Waisting no time at all, Asmussen’s Oaklawn Park efforts will begin on the Arkansas track’s opening day, January 25, in the $150,000 Smarty Jones Stakes. The top two finishers in last month’s $400,000 Remington Springboard Mile, Long Range Toddy and Bankit, returned to the work tab and seem primed to be the race’s top choices. 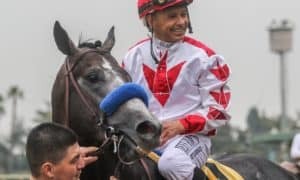 The Smarty Jones will be a step up in class for both, especially if trainer Bob Baffert ships in one of his Derby hopefuls, but Bankit proved himself against the best New York-breds as a juvenile. He was charging hard late in the Springboard Mile to get second, and the son of Central Banker enters the Smarty Jones with a solid foundation of six starts. 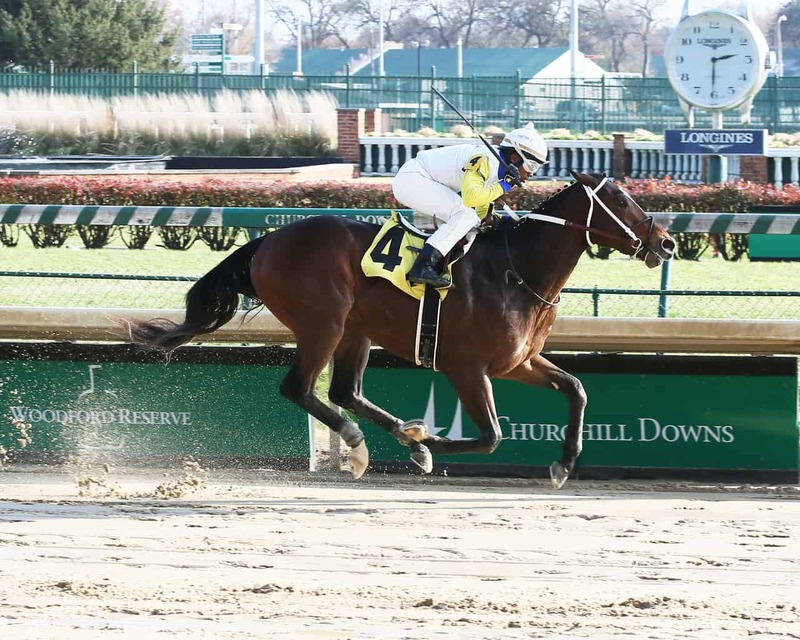 A sharp 5-furlong bullet on January 5 at Oaklawn hints that he may take to the Arkansas strip. Long Range Toddy shared that bullet work with Bankit, and the Springboard Mile winner will look to copy his Remington Park success to a new track for the first time. A winner of three straight, the son of Take Charge Indy will have to take his game to the next level at Oaklawn. For a full list of Smarty Jones probables, check out the Derby Trail Tracker. 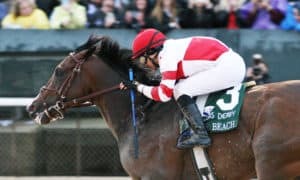 We’ve only scratched the surface of the Asmussen barn by detailing the first five Kentucky Derby prospects that’ll hit the trail, but he has a slew of runners who may emerge in the coming weeks and months. In addition to Bankit and Long Range Toddy, Asmussen ran three others in the Springboard Mile last month: Tone Broke (fourth), Kaziranga (eighth), and Tobacco Road (10th). Tone Broke returned to the worktab most recently at Fair Grounds, and after the Springboard Mile, Asmussen said on the “At the Races with Steve Byk” radio show that he was excited to stretch out the son of Broken Vow to 1 1/8 miles, so look for Tone Broke to pop up in a longer prep race down the road. Neither the Candy Ride colt Kaziranga nor Quality Road’s son Tobacco Road have worked since the Springboard, though, and only Tone Broke and Kaziranga have been nominated to the Louisiana Derby. Asmussen said in his “At the Races” appearance that Tobacco Road would keep sprinting up to an optimal distance of 7 furlongs. Another recent stakes race featuring multiple Asmussen horses was the 7 1/2-furlong $75,000 Big Drama at Delta Downs on January 5. 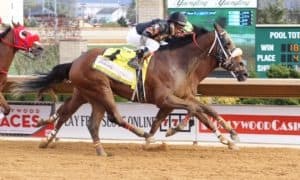 Runner-up Ninth Street, fifth-place finisher Stupify, and Troy Ounce (who finished last) would all need to step up in class in order to hit the Kentucky Derby trail. Six Shooter, the Paul Holthus-trained winner, is being pointed to the Smarty Jones, so we’ll get a sense of the Big Drama’s strength soon. 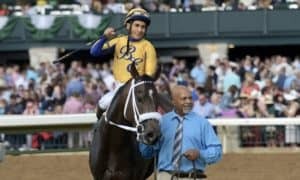 Limonite streaked to finish third in the Grade 2 Kentucky Jockey Club Stakes at the end of November; sired by Lemon Drop Kid, he has yet to return to the work tab, but he may pop up at Oaklawn. Tikhvin Flew impressive maiden breaker at Aqueduct on January 4 going 7 furlongs on debut, will likely stay up in Asmussen’s New York winter string; his next start hasn’t been decided, but the Grade 3 Gotham Stakes going 1 mile at Aqueduct could get the son of 2007 Kentucky Derby winner Street Sense on the Derby trail. 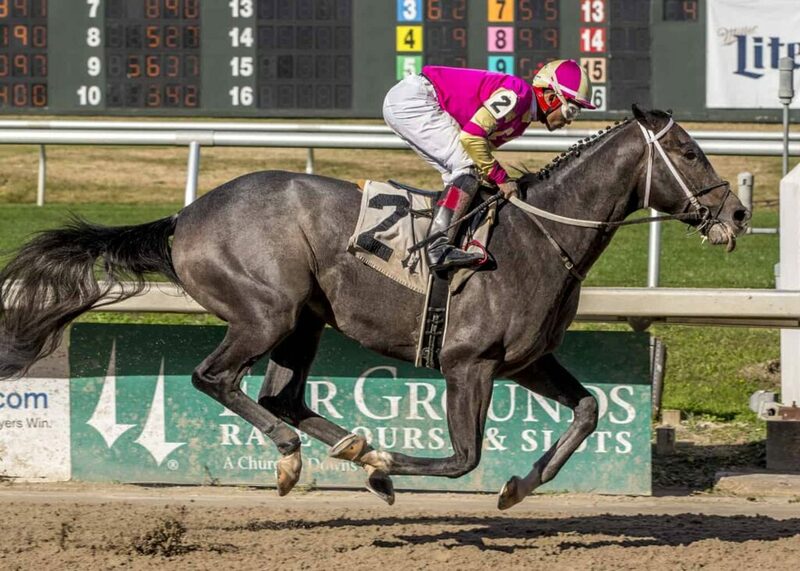 Rogueish – broke his maiden by almost 7 lengths over the Fair Grounds dirt going 6 furlongs to end November; sired by Into Mischief, he has had five works at Fair Grounds since that impressive score, but missed a work in the first week of January. Jersey Agenda impressed on the “Stars of Tomorrow II” card at Churchill Downs to end November, breaking his maiden by 4 lengths while going 6 1/2 furlongs; the Charles Fipke homebred has put in two recent workouts at Oaklawn. Boldor broke his maiden on debut at Keeneland in October over the highly-regarded Super Steed, but then lost to that foe by 6 lengths on the “Stars of Tomorrow II” card at Churchill in late November; the Virginia-bred son of Munnings has had a steady string of works at Oaklawn since then. American Mandate finally broke his maiden by a nose at 1/5 odds while going 5 1/2 furlongs at Aqueduct on Sunday; after three runner-up finishes (including a loss to the highly-regarded Haikal in mid-December), the main question is if this son of Strong Mandate can stretch out and get on the Derby trail or if he will stay sprinting. Proud Nation lost as the odds-on favorite to top Dale Romans trainee Blue Steel in his last race at Churchill Downs on October 28; the son of Tapit is working at Oaklawn and posted a 4-furlong move on January 12, but this colt has been moved to trainer Joe Sharp. Rotation lost by 3/4 of a length at Fair Grounds on December 22 to Chase the Ghost; the son of Tapit has already returned to the Fair Grounds morning work list with two drills since his most recent start. Comedian lost by a nose on debut to Cornacchia at Fair Grounds on December 22; Into Mischief’s son has already returned to the work tab over the local strip and is entered to run on the LeComte undercard on Saturday. 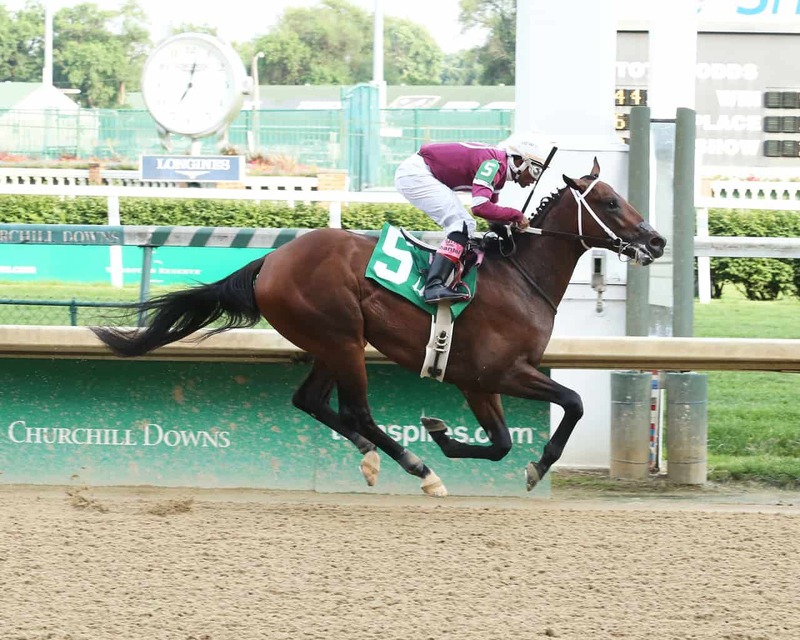 Strong Arm was seventh of debut and was not nominated to the Louisiana Derby. 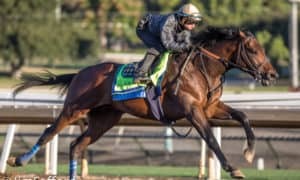 Rubin Hurricane sold to Phoenix Thoroughbreds for a cool $1 million at the 2017 Keeneland yearling sale; named after the famous boxer Rubin “The Hurricane” Carter, this son of 2013 Kentucky Derby winner Orb has been working out at Fair Grounds since the beginning of November. Elvis also sold to Phoenix Thoroughbreds for $1 million; another son of Orb, out of the graded stakes-winning Flashy American, the King of Rock and Roll will try to become the king of Oaklawn this spring; with four straight works over the Arkansas dirt, this one is approaching a much-anticipated debut and was actually drafted in the Racing Dudes Fantasy League. Copper King sold to Winchell Thoroughbreds for $625,000 as a yearling at Keeneland and has been drilling at Fair Grounds since October; the son of Medaglia d’Oro is a half brother to 2009 Kentucky Derby winner Mine That Bird and multiple Grade 1 winner Dullahan. My Legacy popped up on the nominations for the Louisiana Derby; unraced with eight straight works at Fair Grounds, the Maryland-bred son of Street Boss will need to move forward quickly. Oxburger sold for $900,000 as a yearling at Keeneland; the half-brother to Grade 1-winning female sprinter Taris just returned to the work tab at Fair Grounds on Sunday after being absent since December 18. Picasso was an RNA for over $700,000 twice; son of Tapit was nominated to the Louisiana Derby but hasn’t worked since the end of November. Power End will debut on the LeComte undercard; this son of Street Boss is nominated to the Louisiana Derby. Nitrous crushed the field to break his maiden at Saratoga, then was third in the Grade 1 Hopeful Stakes behind Mind Control and Mucho; this Winchell homebred son of Tapit moved to sprinting on the turf, and then back to the dirt, with not as much success; with steady works at Fair Grounds since the start of December, it’ll be very interesting where this speed ball shows up; nominated to the Louisiana Derby, maybe Asmussen will try to stretch Nitrous out on dirt. Bano Solo won over the summer at Churchill, then ran fourth in the Grade 3 Sanford Stakes on Saratoga’s opening weekend and hasn’t raced since; a recent string of blazing works at Fair Grounds (including a bullet from the gate on January 7) has his ownership group pumped for his return (see tweet below); this son of two-time Breeders’ Cup Dirt Mile winner Goldencents is not nominated to the Louisiana Derby and will likely stay sprinting. 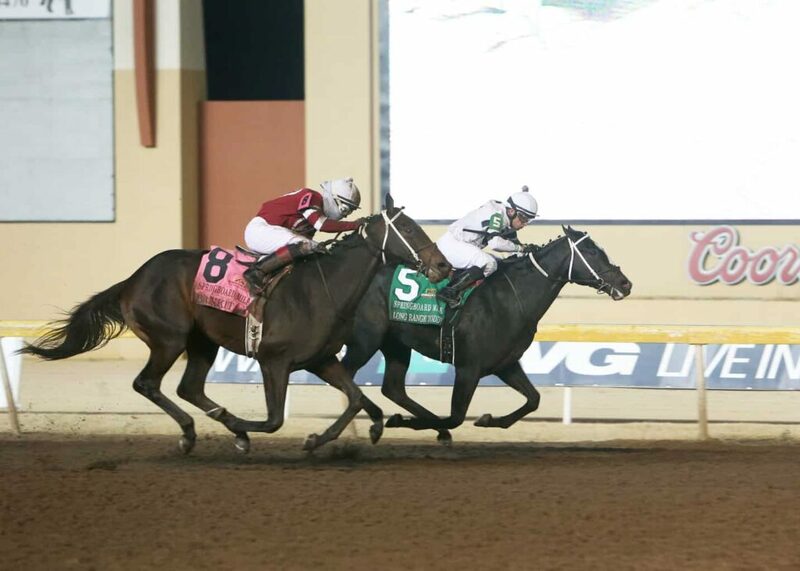 Fluminense finished seventh in the Grade 1 Breeders’ Futurity at Keeneland in October and hasn’t returned to the worktab but is nominated for the Louisiana Derby. Whiskey Echo hasn’t been seen since his runner-up finish in the Ellis Park Juvenile Stakes in August behind stablemate Tobacco Road; third in the Sanford, this Tiznow offspring wasn’t nominated to the Louisiana Derby, so we’ll see if he even comes back to the track in 2019. There you have it, a total of 32 colts and geldings trained by Steve Asmussen that you may see on the Kentucky Derby Trail. How many will make the Kentucky Derby gate? Tweet me @SaratogaSlim with your guess and follow me for updates along the Trail. 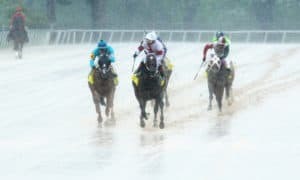 Also, bookmark and check the Derby Trail Tracker for probables in all of the Kentucky Derby prep races. Every day, we get closer to the first Saturday of May! 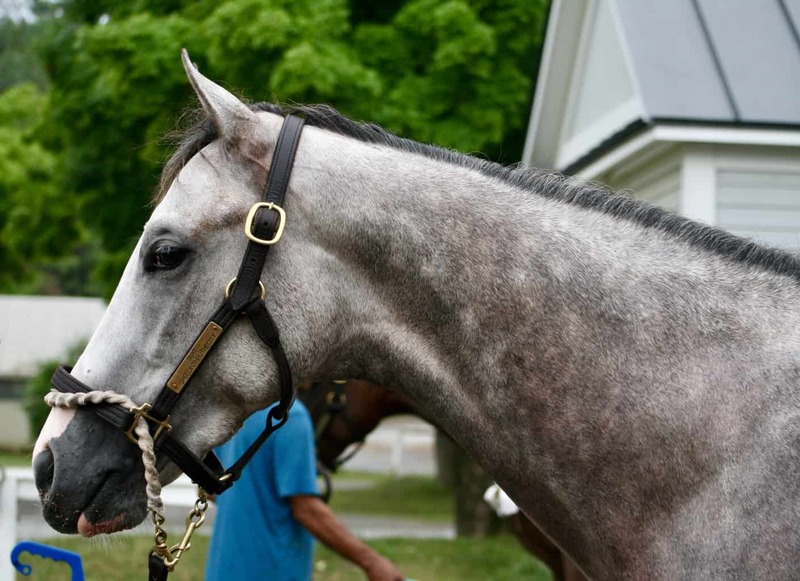 Gun It ,a grey/roan out of Tapit. 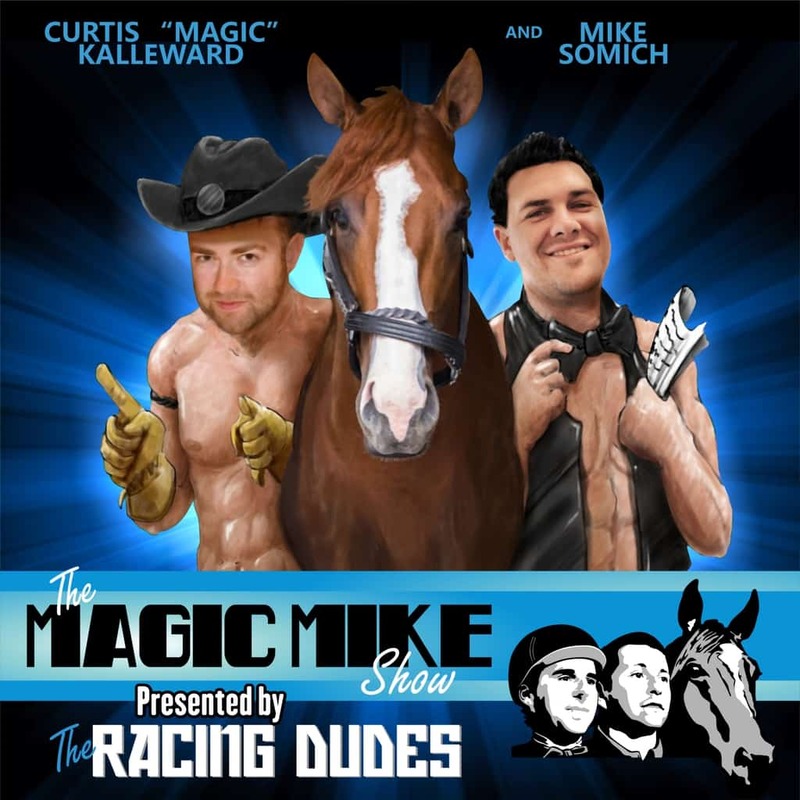 When does the early Belmont Stakes betting begin again??? I need to take out a home equity loan. You’re speaking Jared’s language there!